C++ rewrite of my FDTD-based optics simulator. 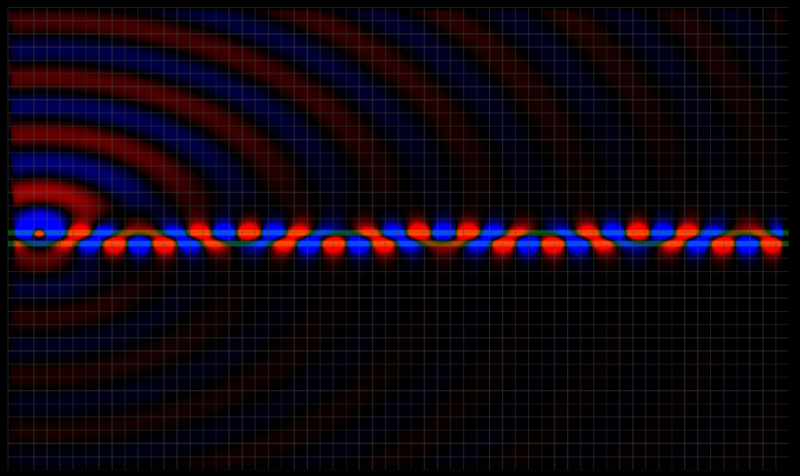 This one is a 620nm (red) source fired into one of two parallel single-mode waveguides. I lika da pretty pictures.